Currently Director of Learning and Teaching at Otago Polytechnic, a new role in 2012. Previously I was the Group Manager of the Health and Community Group at Otago Polytechnic with responsibility for the Schools of Foundation Learning, Midwifery, Nursing, Occupational Therapy and Social Services. I remain the Head of the School of Midwifery, a role I share with my colleague Sally Baddock. I am a wiki novice but keen to learn! I have been a midwife for more than 25 years and have gained extensive experience in practice, midwifery education and midwifery regulation. 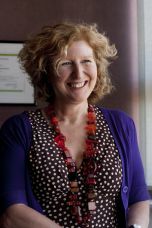 I began work at Otago Polytechnic as an educator in 1985 and since that time have been involved in developing and implementing a number of midwifery curricula (from undergraduate to postgraduate), a foundation programme and a social services degree. As my understanding of curriculum design has improved I have become interested in how to design learning that utlises a blend of different modalities, from face to face to online. In 2006 the Otago Polytechnic School of Midwifery, in collaboration with our midwifery colleagues at CPIT, designed a new Bachelor of Midwifery programme. This programme is a four year degree delivered over three extended calendar years. We use a satellite/distance model to increase access to women outside of Dunedin and Christchurch. Students are enrolled into satellites offered in Invercargill, Central Otago, Dunedin, Timaru, West Coast, Christchurch and Nelson. In 2010 we commenced delivery to the lower North Island and established satellite groups in Whanganui, Palmerston North and Wellington. Otago Polytechnic manages the satellites in the lower NI and lower SI while CPIT manages those in Nelson, the West Coast and Canterbury. Each satellite group of students is linked with a locally-based staff member, or Student Practice Facilitator (SPF). The SPFs have a central role in the programme. In addition to pastoral care they provide face to face support, teach 'hands on' skills, arrange local midwifery practice experiences, liase with midwives, help students to reflect on practice, run online tutorals and provide face to face teaching in the intensive block weeks. individual midwifery practice placements in local areas. It was this experience that has sparked my interest in distance learning, online resource development and OER. . I am married to Michael Lucas and we have two sons, Oscar aged 20 and Felix aged 16. I'm a bit of a couch potato although do enjoy mountain biking and going to the gym sporadically . Unfortunately a prolapsed disc and possible torn rotator cuff have put paid to these activites for the time being. Its going to have to be pilates after all! My most favourite things to do are non energetic - reading a good book, movies, shopping, spending time with friends and family. Oh, and a recent interest in gardening that is also on hold till I fix my body! This page was last modified on 7 May 2012, at 22:40.